If you're not muslim, having to consider whether your beauty products are in line with your religion is not something you've ever had to consider. But for those who are, navigating your way through the minefield that is nail varnishes, and every other essential beauty product can be a drain on your time and patience. That's why Orly's collaboration with blogger Muslim Girl is so important - together they've created the first halal-certified nail polish. While performing the act of wudu, a ritual ablution performed before prayer, water must touch every part of the body therefore for many muslims, regular nail polish can't be used as it's believed it creates a barrier between the water and the nail. This collection has been created to be breathable which means its porous nature allows muslim ladies to sport it while practicing wudu. The actual collection launched last year but Orly has only recently teamed up with high-profile blogger Muslim Girl. Muslim Girl's founder Amani Al-Khatahtbeh and chief of staff Azmia Magane played a big part in creating the collection. 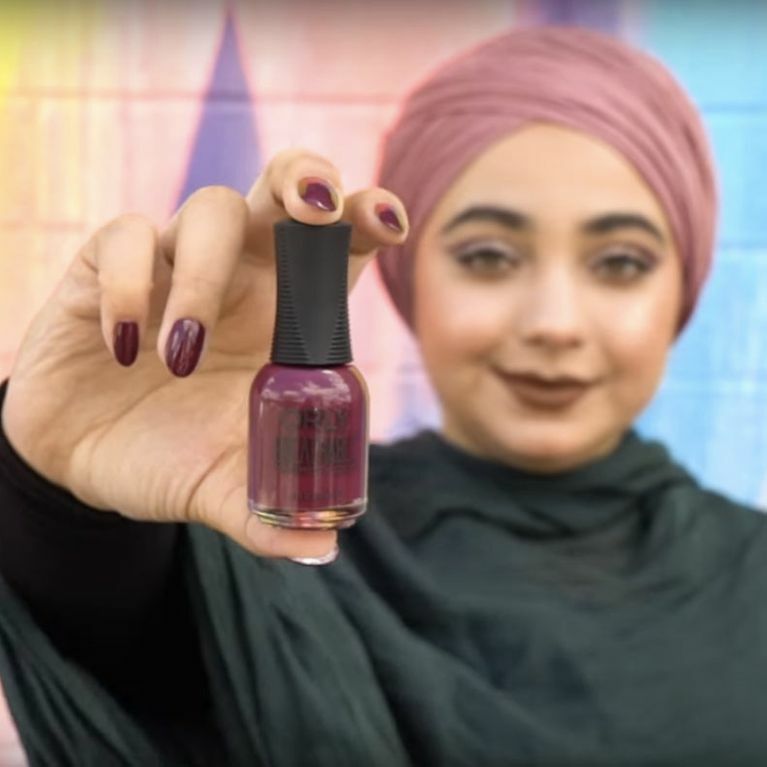 "Collaborating on a breathable, nail polish line for Muslim women means creating space for them in the beauty industry by making options available that cater to their needs," Al-Khatahtbeh tells Refinery29. They also had a role in naming the polishes - which have some awesome tongue-in-cheek monikers, like "What the Fatima? ", "Haram-Bae", "The Perfect Amani-cure", and "Ig-Noor the Haters". Is This $60,000 Diamond-Encrusted Manicure The Most Expensive Beauty Treatment In The World?